Posted on April 9, 2015 by Mike Sonnenberg Posted in courthouses, Michigan Historical Markers	. The Lapeer County Courthouse was built by Alvin N. Hart, one of Lapeer’s first settlers. Born in Connecticut in 1804, Hart came to Michigan in 1831 and platted the village of Lapeer two years later. He also served as sheriff and as a member of both houses of the state legislature. 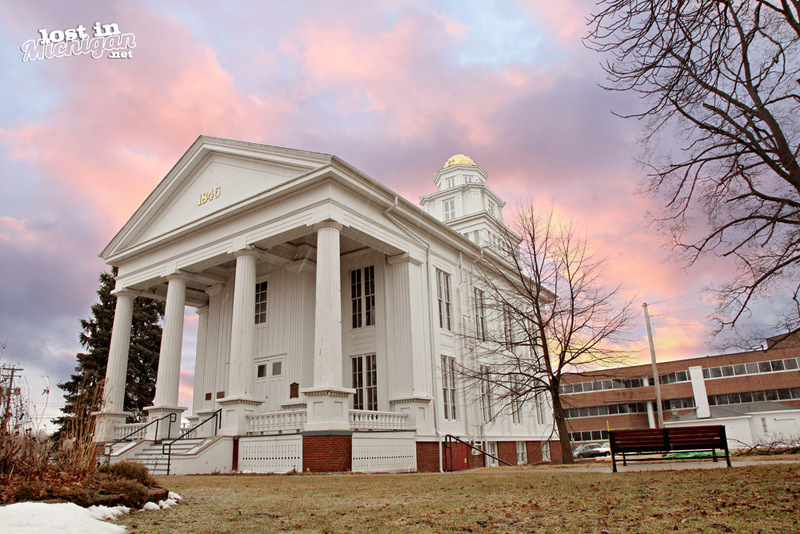 Although the date in the pediment, 1839, marks the construction of the county’s first courthouse, this building was erected in 1845-46 and bought by the county in 1853. It is an impressive Greek Revival structure. The two-story exterior is of native white pine, supported by a brick foundation. The facade of the full-height portico has four fluted Doric columns supporting the pediment. A three-tiered tower rises at the rear of the building. The Lapeer County Courthouse is now the oldest courthouse in Michigan which serves its original purpose. It remains a fine example of the dignified Doric style. Tags: Lapeer, lapeer county	. Posted on July 16, 2014 by Mike Sonnenberg Posted in Michigan Historical Markers, Train Depots	. In the nineteenth century, railroads provided the prime transportation link between small villages and the rest of the country. The first Columbiaville depot was built near this site in 1872. In 1893 William Peter (1824-1899) replaced that structure with this Romanesque inspired depot with its rounded arch, beveled-glass windows. Peter, Columbiaville’s dominant merchant and a millionaire lumber baron, built the depot in an effort to spur the development of the village and assure the continued growth of his many businesses. By prior agreement, he gave the building to the Detroit-Bay City Railroad Company in exchange for having a line run through the community. The property was deeded to the company for one dollar in 1893. 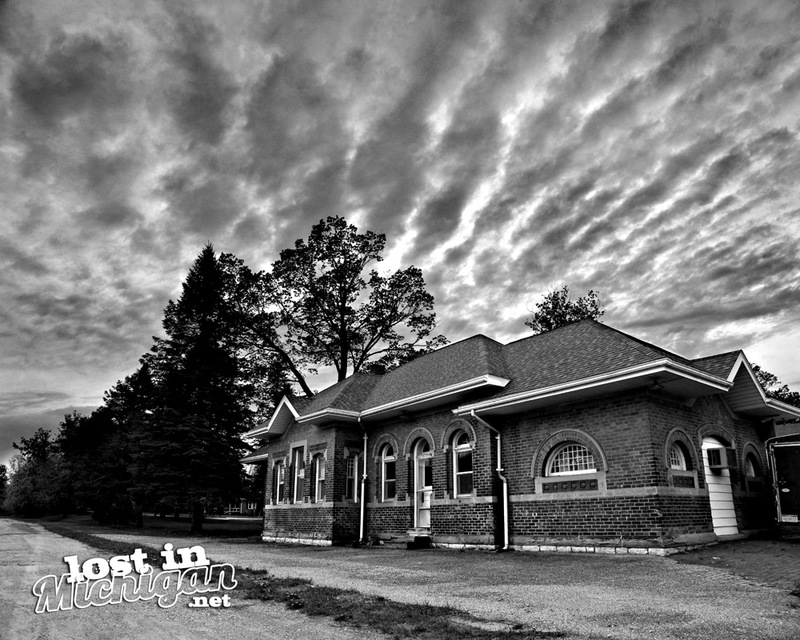 It served as a train station until 1964. The depot now houses the Columbiaville Rotary Club and a public library. Tags: Lapeer, lapeer county, Train depot	. Posted on April 1, 2014 by Mike Sonnenberg Posted in Historic Places, Houses	. 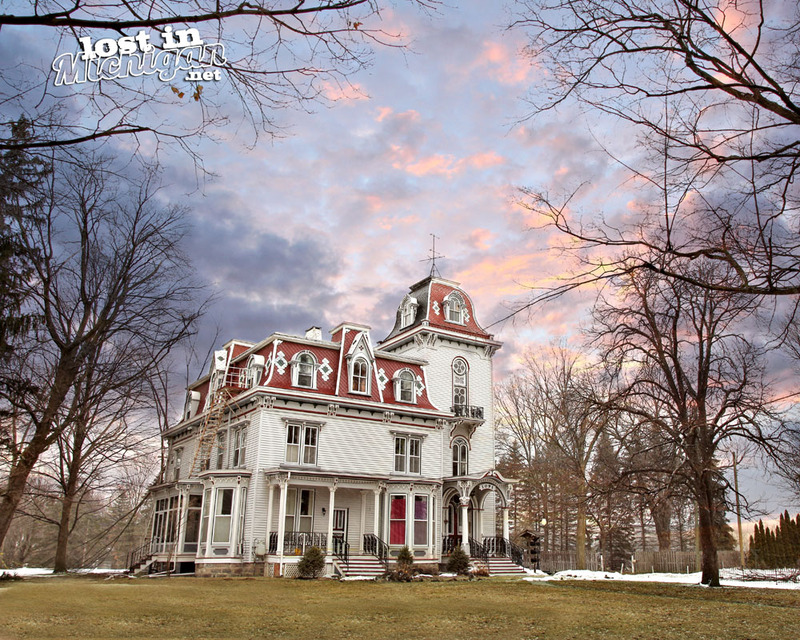 I saw this beautiful old second empire mansion in Lapeer. I looks like it has been converted into apartments now, but doing a little research on google, I found some websites that say it was the old Lapeer Hospital. I am surprised a house like this does not have a Michigan Historical Marker in front of it. I wonder if it was built as a hospital or if it was built for someone as a residence, then used as a hospital, like the Ammi Wright house in Alma. Anyways its a beautiful house, so I stopped to get a pic of it, since they don’t build them like that anymore. Tags: Houses, Lapeer, mansion	.